Many people young and old participated in the diabetes walk. 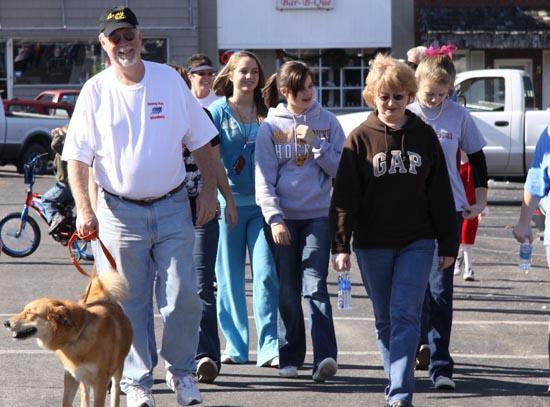 The Lions Club held a fundraiser walk for diabetes awareness and treatment Saturday, November 21st on the Square in Woodbury. Shortly after, the annual Push, Pull, or Pedal Children's parade was led around the Square by Santa.